Understandably this has resulted in concern amongst specifiers and stake holders as they try to evaluate current practices and plan for potential future changes, especially in respect to high-rise and complex buildings. After all the specification of fire doors is not a game, and as we all know can have far reaching consequences. It is little wonder therefore, that for specifiers in the modular and off-site construction sector using Vicaima products, that feeling of anxiety and apprehension regarding past, current and future use of fire doors is not an issue; providing of course that they have been correctly installed. 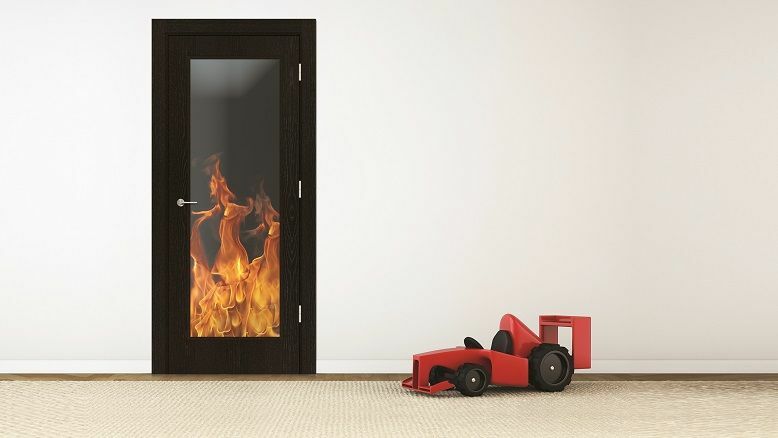 As specialist fire performance door manufacturers Vicaima have long understood the need to go above and beyond industry norms and simple compliance to provide ultimate peace of mind. Vicaima has always prided itself on the construction of its fire doors, never cutting corners or compromising, regardless of whether it’s a humble painted door or a cutting edge designer product. After all sometimes it is what you cannot see that makes the difference in a safe fire door. This is perhaps best illustrated with the Vicaima standard FD30 fire door. Manufactured using fully solid cores and a traditional stile and rail perimeter to enable reliable fixing of ironmongery i.e. hinges, door closures etc. Among the many important recommendations outlined within the Independent Review, is the need for third party accreditation when it comes to fire doors. Here Vicaima adhere to not one but two nationally recognised and highly reputable bodies to verify the performance of our fire performance products, namely BWF-Certifire and BM TRADA Q-Mark. In each case traceability is assured with the use of tamper evident labels and plastic plugs to provide clear understanding of fire rating and of course origin of manufacture. You or indeed future custodians of fitted fire doors will be left in no doubt simply by looking at the top edge of any Vicaima fire door. Here crystal clear identification marking alongside a detailed inkjet stamp system to identify exact batch and date of manufacture, enables Vicaima to establish complete control of our products throughout their lifecycle. Of course fire safety does not need to equate to mundane or style less performance solutions. Occupier and environment user satisfaction should never be compromised and with Vicaima innovative design options the scope is almost limitless; encompassing as it does finish foil, veneer, laminates and paint lacquered surfaces; with cost effective products for this developing sector. For more information regarding Vicaima Fire and other performance solutions visit www.vicaima.com.